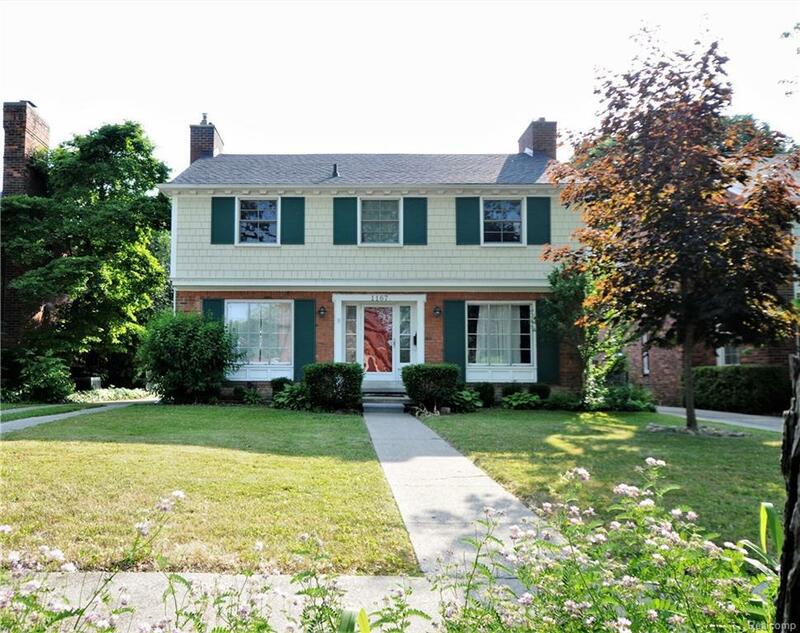 Classic Center Entrance Colonial in ideal location! Lovely living room with built in shelving and fireplace. Nicely maintained home with newer roof and a new furnace (installed 2015). Kitchen updated in 2014 including new granite, new sink and faucet, new back splash, ceramic flooring and appliances. Features cove moldings, hardwood floors, central air and sprinkler system. Finished basement with fireplace. Kitchen and dining room recently painted in neutral colors. Resident only access to two waterfront parks, Windmill Pointe Park and Patterson Park. New flat roof installed over family room September 2018, with 10 year warranty.